This week I have had the pleasure of catching up with Nikki Bonus. Nikki is the founder and CEO of Life Skills Group, a national schools program that establishes a foundation of yoga, mindfulness, wellbeing and life skills for teachers, students and parents. Nikki’s focus areas include mindfulness-based foundational skills for self-awareness and emotional intelligence to expand leadership capacity and develop overall wellbeing. Nikki believes that every teacher should be given mindful leadership training as they are the leaders of our future generation of leaders. She shares tips and techniques for creating calmer classrooms, improving classroom management and increasing student performance. She empowers people with strategies to deal with whatever comes their way. In addition to her role at Life Skills Group, Nikki is well-known in the education and private sectors as a keynote speaker, regularly running workshops and training programs. Her polished, connected and comedic style has resonated with audiences throughout Australia who have greatly benefitted from her presentations. Nikki offers practical advice, tools and wisdom from the heart that comes from overcoming difficulties in her own life as well as juggling multiple roles, to assist professionals from all walks of life. She shares powerful insights, imparting her knowledge by sharing the skill and disciplines she’s learnt from her 20 years in developing programs for schools and working with businesses, and shows how they can be applied to senior executives, teachers and staff alike. 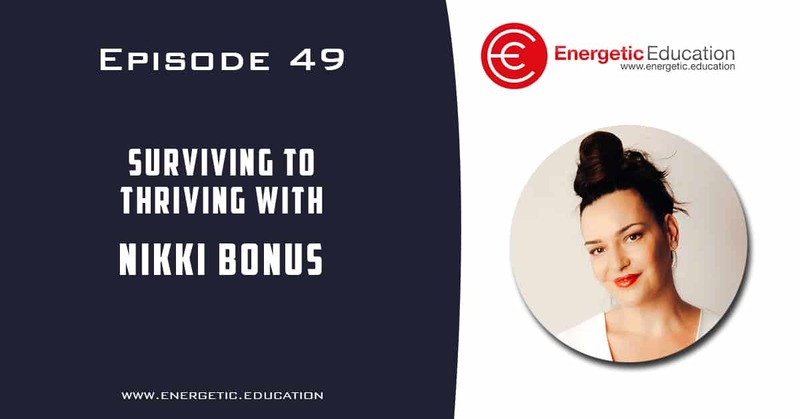 Nikki’s passion is educating and empowering individuals to deal with the life on life’s terms, teaching skills and tools to move them from surviving to thriving.